Angstron is the first advanced materials company to offer large quantities of ultra-thin, pristine nano-graphene platelets (NGPs). 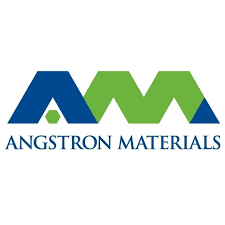 Angstron currently has the world’s largest graphene production capacity at approximately 300 metric tons per year. This capacity means that Angstron can fill orders suitable for large scale industrial and commercial applications. This production scale also means that Angstron is significantly reducing production cost barriers with its high performance nano-graphene solutions. A new 22,000 square foot manufacturing facility, based in Dayton, Ohio, allows the company to continue its research and development efforts while providing small to large batch processing and production. By combining R&D with in-depth engineering, application knowledge and real world experience, Angstron not only has the technology customers need, but the capability to provide total turnkey solutions – from application development and pilot quantities for test articles to scale-up for required production volumes. Angstron’s scientists and specialists have more than 50 years of combined experience. They can help you harness the performance advantages of NGPs to create a next generation product that’s better. The team will also walk you through each step of the process to find the most efficient, cost effective manufacturing methods and prepare for market entry.